Years of research have shown that arts education benefits not only academic achievement but cognitive ability, critical thinking, and even verbal expression. You may be thinking that including art as one of your homeschool extracurricular activities, though, will be time-consuming or taxing on your budget. With your Time4Learning subscription, art instruction doesn’t have to be either. Time4Art is available to all 4th through 12th grade students with an active Time4Learning subscription (or even for younger students who have been reading for a few years and can handle more advanced instruction.) Once activated, your student will be able to access sixteen different lessons in art theory, art history, and art techniques. Students learn the principles and history of art with animated lessons. Each lesson is comprised of three main parts: SAY art, SEE art, and DO art. 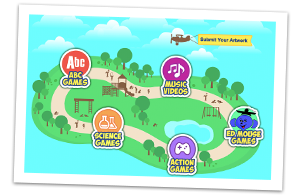 One of the most popular and fun extracurricular activities for both Time4Learning parents and students is our virtual playground. This feature, for students in grades PreKindergarten through eighth grade, provides carefully selected educational games designed to reinforce the learning activities completed in the structured learning area. Parents have complete control over how much time their student can spend in the playground area. Some parents choose to use it to break up daily lesson sessions. Others prefer to use it as a reward system for dedicated study time. Either way, students will enjoy the safe, fun, and motivating environment of this Time4Learning extracurricular. The playground is a safe and fun way to motivate students with learning games. Parents choose how much time their child can spend playing before getting back to lessons. Activities for homeschoolers that both engage their brain and are fun are the perfect extracurricular blend. Younger students aren’t the only ones who deserve a break from their studies, though. High school Time4Learning users also have access to their very own game room. It consists of educational games that were created based on 80’s and 90’s classics. 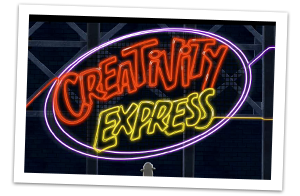 When they are ready for a diversion, high school students can choose from categories such as action games, brain games, fun and logic, and comic strip and poetry creation. High schoolers can take a break from their studies with a dedicated game room just for them. 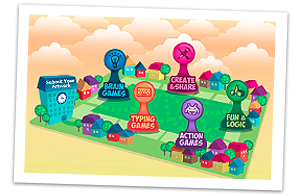 Students can choose from action games, brain boosters, or creativity starters. 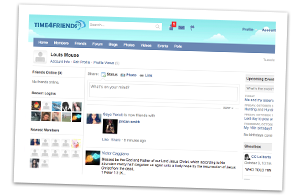 The Time4Friends social network gives teens an opportunity to connect in a completely safe environment. Find new friends with common interests and ages to chat with. Sign up for Time4Learning and gain access to a variety of educational materials, which will engage and challenge your child to succeed. Make Time4Learning a part of your homeschool and your children’s success.